Freakshakes are the bigger, better, more, insanely creative version of the ordinary milkshake (think extreme milkshake). They are going to rock your world. What is a freakshake you ask? It is a milkshake that has been taken into the upper echelon of creative display and flavors. They are completely over the top – think Extreme Milkshake. Freakshakes are like adding jewels to a fully glittered jacket. Freakshakes are like a complete theme party in a glass all at the same time. Freakshakes are what your grandmother never ever dreamed of. 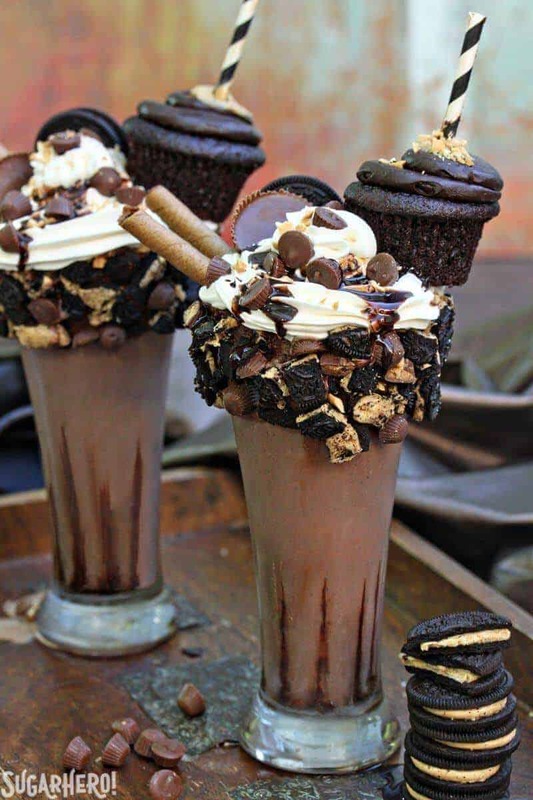 However, the world is always looking for bigger, better, more… freakshakes are the bigger, better, more, insanely creative version of the ordinary milkshake. They are going to rock your world. I think freakshakes could have their own show… for real! 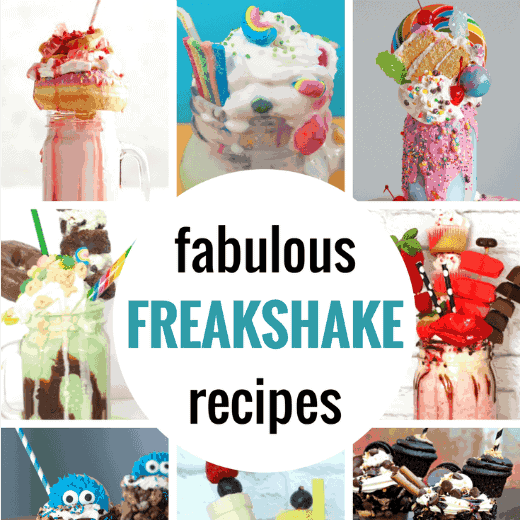 While this Birthday Cake Milkshake that Erin Bakes shared on Craftsy may not actually have the title Freakshake attached, it is totally a freakshake. 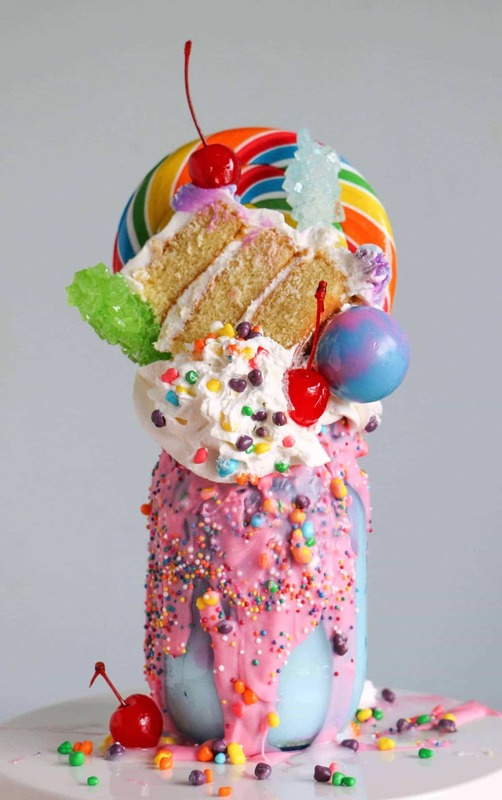 Actually I think this freakshake looks like candyland in a mason jar and I totally want to play and eat it! How can you not just look at this drink and want to dive into that pure sugar rush. I love the oversized lollipop in the back and how there is an actual piece of birthday cake. Erin Bakes also has a few other versions of her extreme milkshakes if you hop over to her post. You won’t be disappointed! If you don’t love Cookie Monster, I’m afraid that we have issues. You see, I happen to think he is the most adorable member of Sesame Street and we have so much in common… we both love cookies! 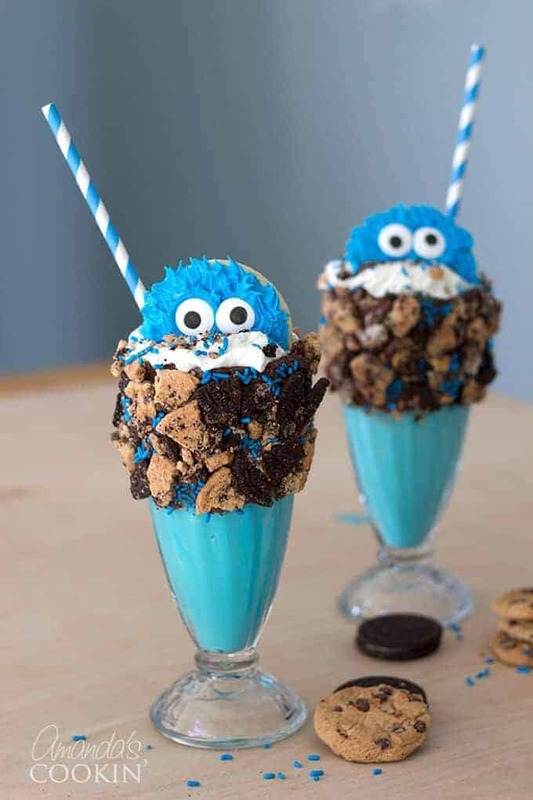 Amanda’s Cookin’ decided to create this Cookie Monster Freakshake and it is absolutely adorable. Oreos, Chips Ahoy, ice cream, frosting and sprinkles. Bring that Cookie Monster over here! I also love a dessert that is begging for you to lick the outside of the glass. It is perfectly adorned! 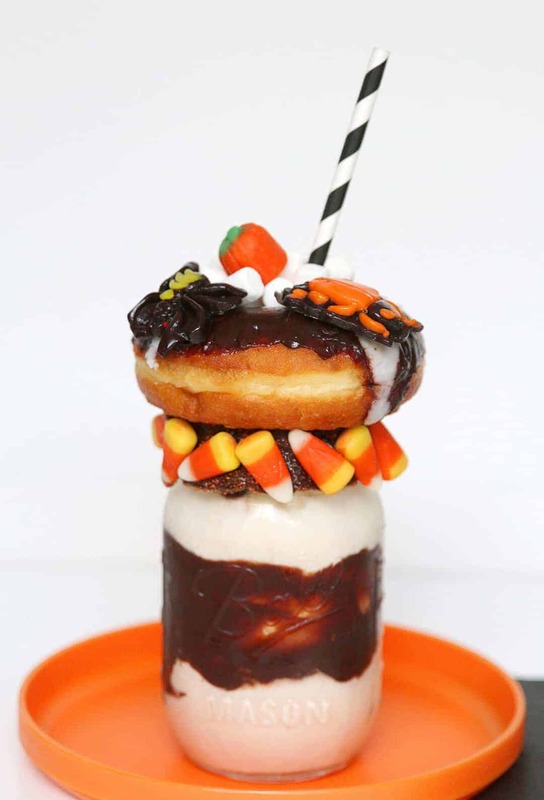 This Halloween Freakshake by Living Locurto via Oriental Trading has me excited for Halloween and we still have over 6 months to go! I love the layers on this freakshake and it really seems like milkshake makers of all levels could pull this off. You just go step by step, layer by layer until you have this festive Halloween beauty. 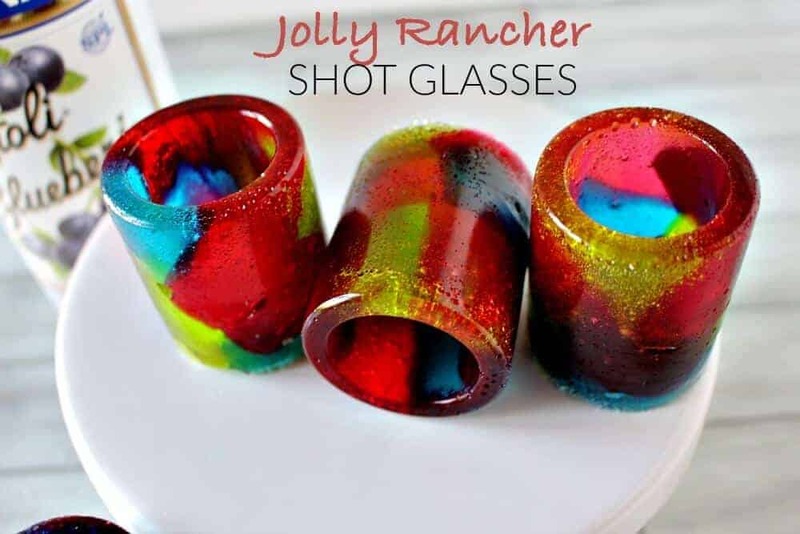 Would it be bad if I made one of these when it wasn’t Halloween…. it looks that amazing and I have a thing for candy corn! 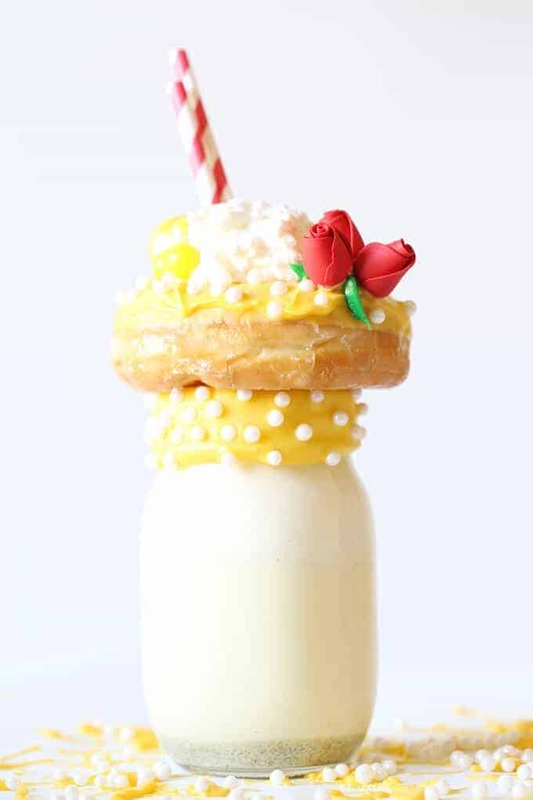 Get ready for the movie and celebrate before or after with this Beauty and the Beast Freakshake by See Vanessa Craft . It is just as pretty as Belle herself and the details are just too sweet. I love the yellow and it totally reminds me of the movie which I cannot wait to see! Have any of you seen it yet? I’ve heard so many wonderful things about it. If you aren’t into princesses, I have a feeling you like shakes, and donuts, and icing… so this is a real crowd pleaser for everyone! 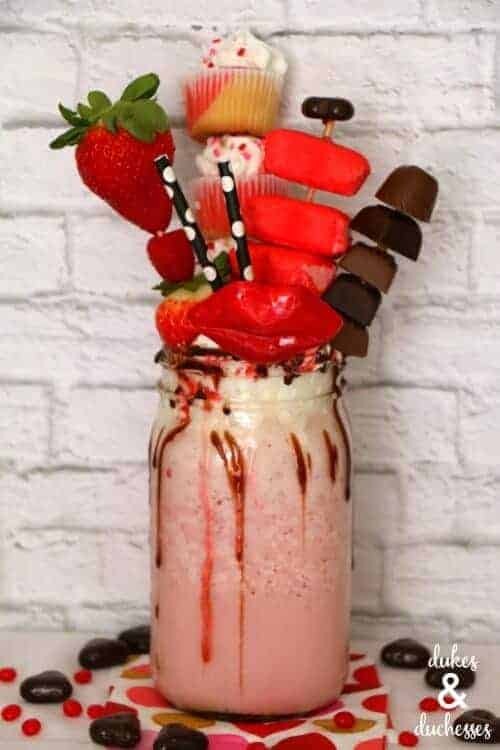 Dukes and Duchesses created this sweet Chocolate and Strawberry Valentine’s Day Freakshake. This is one of my absolute favorite flavor combinations. I have loved chocolate covered strawberries since the beginning of time, so I really want to try this one! 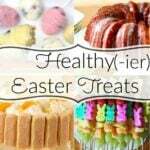 those stacked mini cupcakes in the back are so precious and you could totally do store bought! Now I think we will have to hop on over to the post to see where you can get your hands on those lips. They set off the freakshake perfectly! 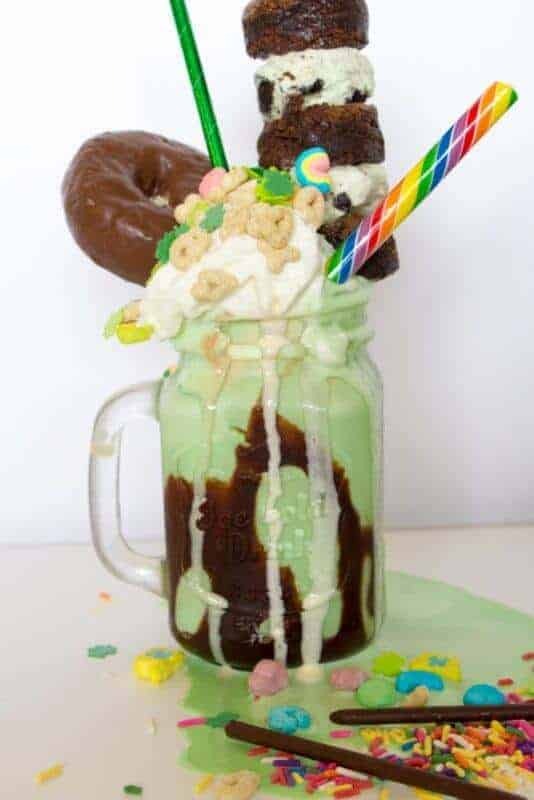 This Boozy Shamrock Shake Freakshake by Do It Your Freaking Self is for those of us who love sweets and a little cocktail at the same time. I love the added chocolate covered donut and old fashioned candy stick. It gives it that rainbow pizzazz that freakshakes seem to possess. I also love that it is just dripping and ready for you you just dive in. I’m sure this would be equally delicious without the alcohol, too. Again, this totally doesn’t have to be for St. Patrick’s Day…. you can celebrate it all year long! 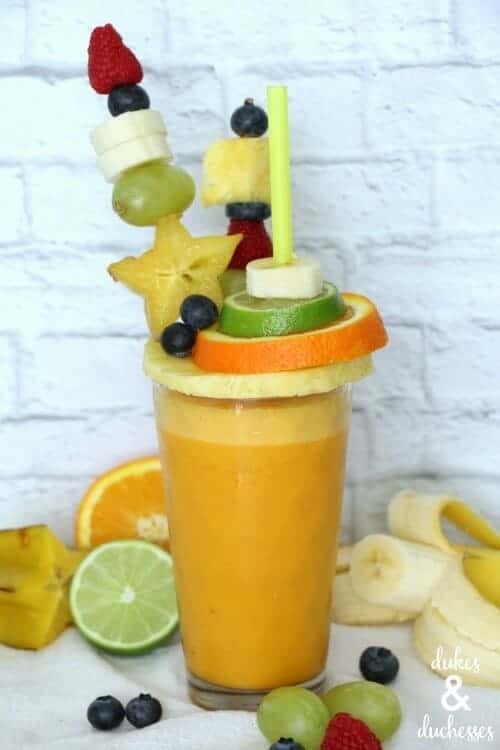 This Freakshake Style Extreme Smoothie by Dukes and Duchesses is a great choice for those of you who really want all that sweetness, but are craving fruit or something with a little less calories, give or take a couple thousand. It looks so delicious and smoothies can be such a treat during these warmer months. I’m totally in! I have long been a fan of Sugar Hero. They have the best recipes and I think this Epic Chocolate Peanut Butter Freakshake may be my favorite! Who could resist this beautiful combination and professional appearance. 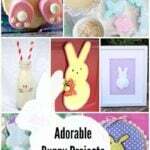 Don’t worry, they show you how you can make your own and it is definitely worth a try! 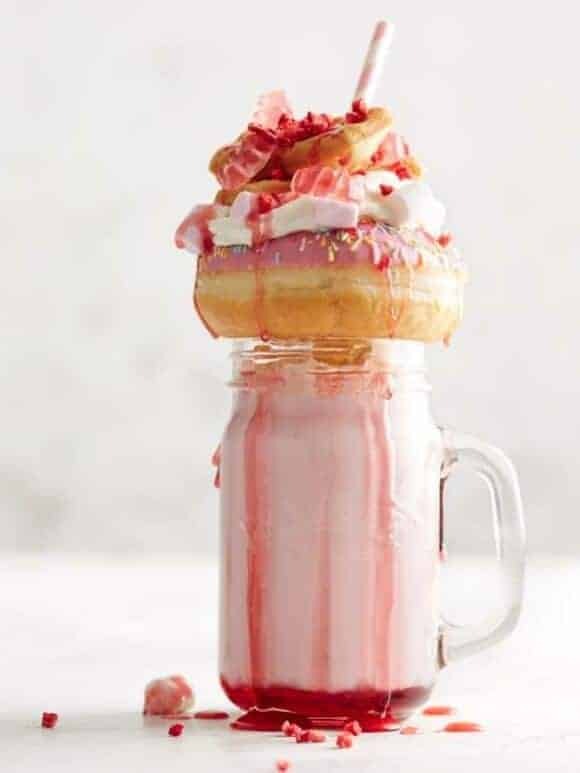 This Strawberry Freakshake by Lakeland Slice is calling my name. Strawberries will be in season soon and that will be a great time to try this baby out. Just run through the donut house drive thru and grab the strawberries and ice cream! Freakshakes take a little time to plan out and put together, but if you visit these posts, you’ll see that they are actually quite simple! 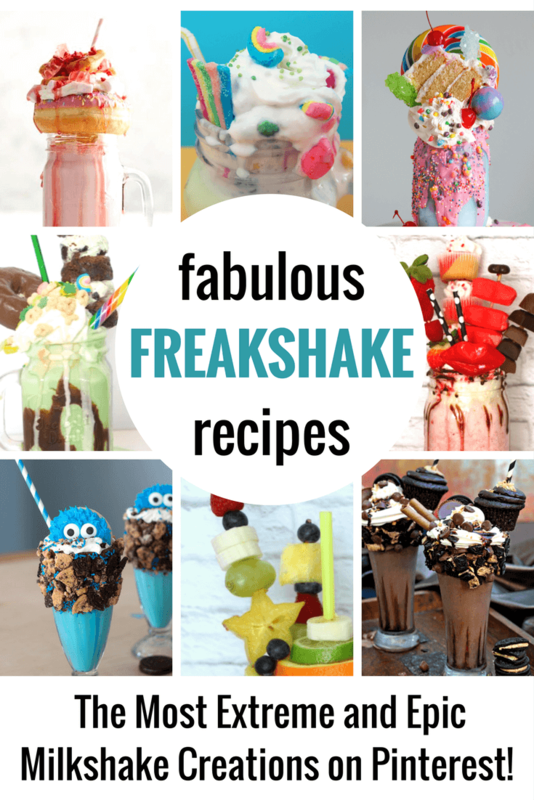 Be sure to pin this post for later and get your freak (shake) on! 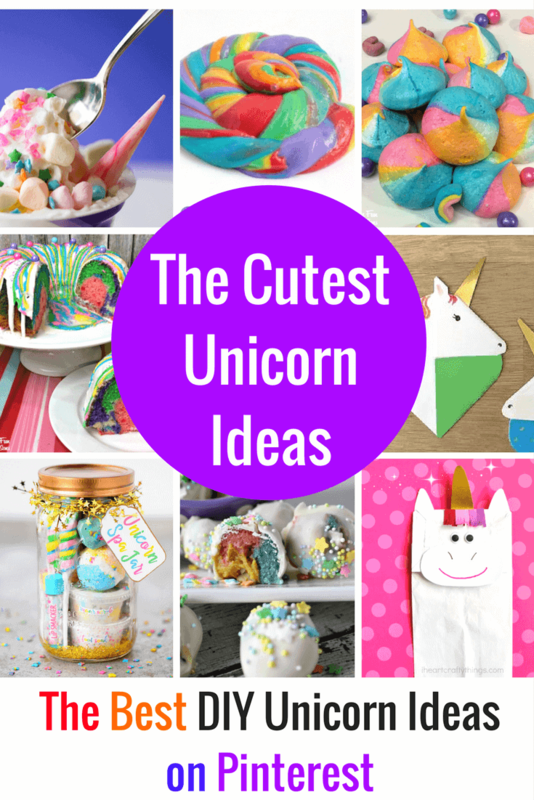 If you love playing with your food or making food that looks like a blast, you should totally check out these fun ideas!